Reed XP-5060 Sterile Tube Fuser IR Wave Biotech STFIR Weld 5/8" Blocks . New Life Scientific, Inc. 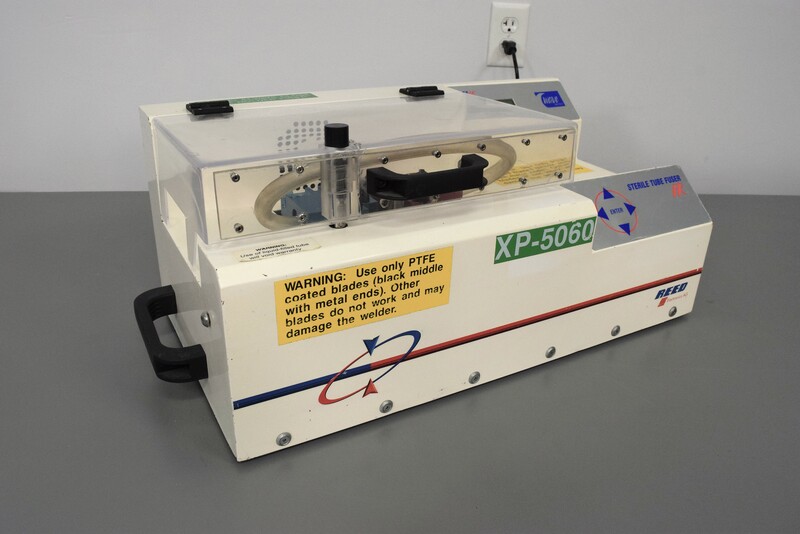 The Reed XP-5060 Sterile Tube Fuser is in good cosmetic condition with normal wear. New Life Scientific technicians initialized the fuser until it reached an error code. Our in-house technicians did a visual inspection on the Reed XP-5060 Sterile Tube Fuser and found it to be in good cosmetic condition. The technician powered it on and initialized the unit. The fuser will accept the blade, retracts and enter depryogen mode. Upon this point of initializing it issues an Error 7 message. No further testing was performed.